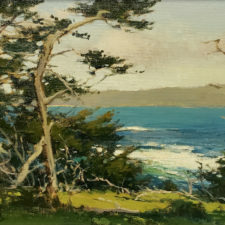 Brian Blood, a resident of Pebble Beach, California, is widely recognized as one of California’s most important plein air impressionist artists. 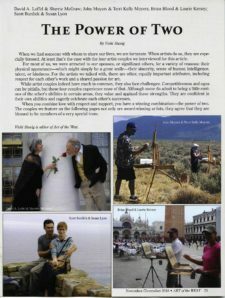 Married to award winning artist, Laurie Kersey, they live their childhood dreams. He began his professional life as a graphic artist and art director in Boston, Massachusetts. Although Blood's career was successful, he was frustrated personally and realized he wanted to be a fine-art painter. 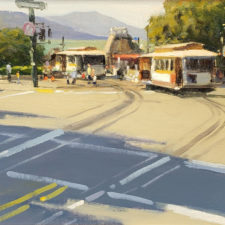 A leap across the continent to California took him to the Academy of Art University in San Francisco for both undergraduate and graduate studies. Blood and Kersey were both later instructors at the Academy of Art University for 12 years. 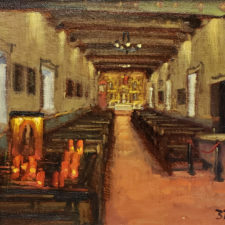 From the 1990s, Brian Blood has been painting full time as well as conducting landscape painting classes at his alma mater. 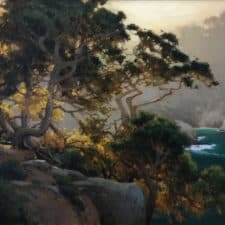 He also conducts ongoing workshops in his studio, and surrounding areas of Pebble Beach, California. Blood has had his work featured in articles in Southwest Art Magazine (May 2002, and March 2005); Art of The West Magazine (March/April 2004); American Artist Magazine (January 2004); Plein Air Magazine (December 2005); and The Central Coast Journal (October 2005); to name a few.